The Appenzeller Sennenhund is descended from the general Sennenhund type which may have existed in antiquity, or descended from "cattle dogs left there by the Romans", but the first breed club for the breed was founded and the stud book for the breed started in 1906 by Albert Heim and others, who wrote the first breed standard in 1916. An early reference to the breed's predecessors was made in an 1853 book, "Tierleben der Alpenwelt" (Animal Life in the Alps), referring to dogs in the Appenzell region. The Appenzeller Sennenhund was only recognised internationally as a separate breed in 1989. 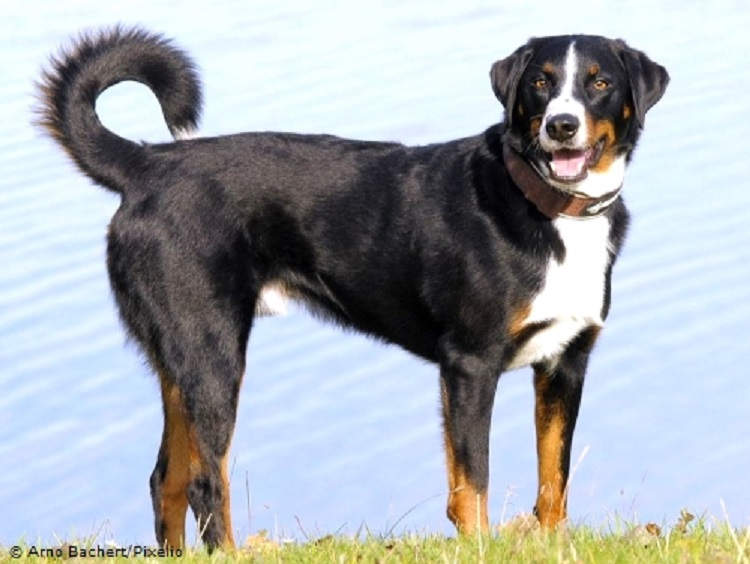 The Appenzeller Sennenhund was originally kept primarily as a cattle herding dog, and a flock guardian. It was also used as a draft dog, and general farm dog. The breed also was known for its affinity to both herd and guard with such devotion that they would give their life to protect their charge. Today the breed is primarily kept as a companion, and excels in agility-flyball competitions, obedience competitions and Schutzhund. They are also still used in many places as working cattle dogs even now. They are highly intelligent, and learn quickly.